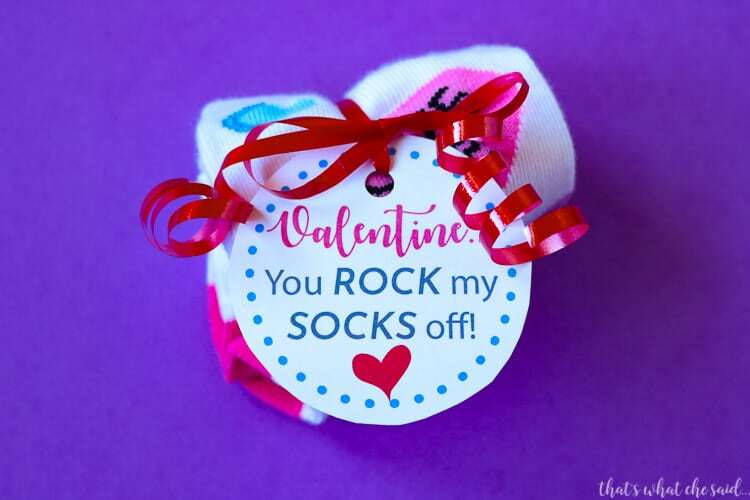 Valentine…you rock my socks off! Man I am a sucker for punny valentines! 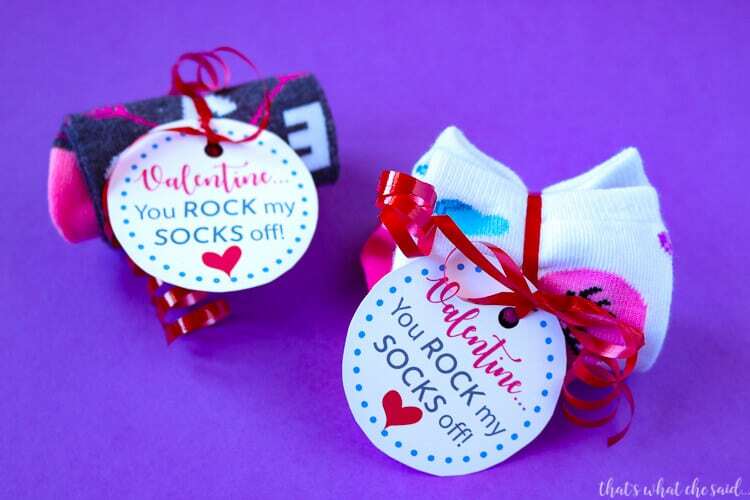 This free rock my socks off printable valentine is fun for class parties, moms groups and more! 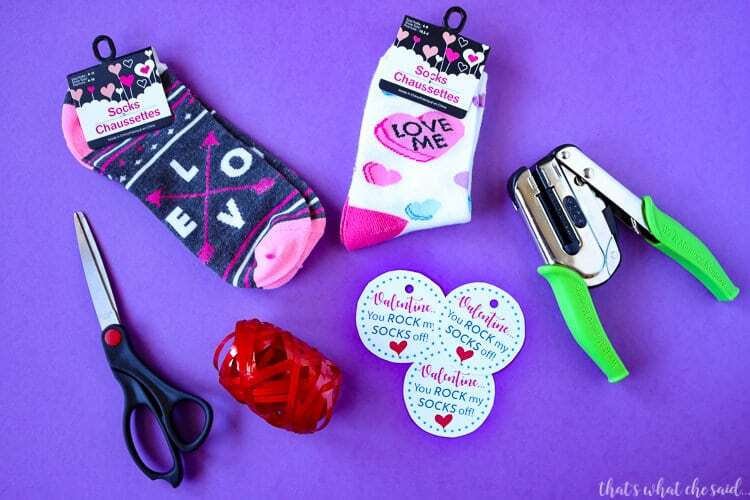 Valentine’s day can be a bit hectic, especially when you have more than one child. 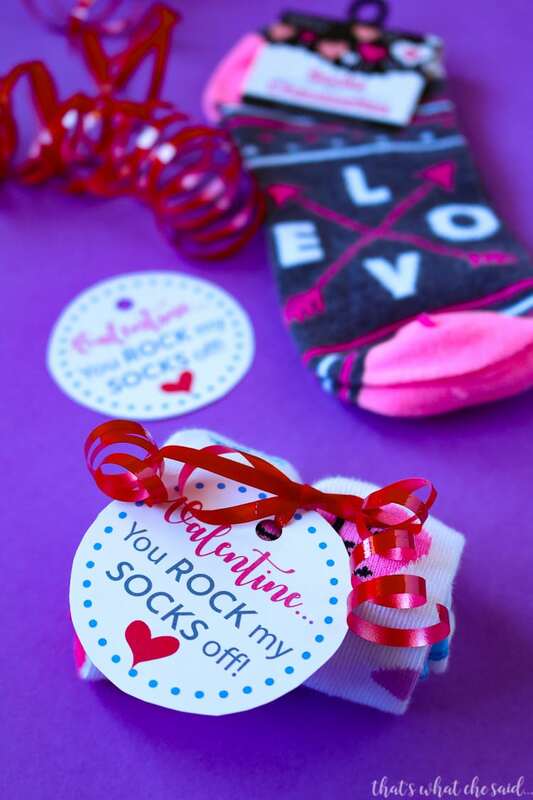 There are the class valentines and there is the Valentine Keeper that you have to make, so give yourself a break and print off this printable valentine download and tie on some socks for a fun valentine! The best deal I have found on socks is at Dollar Tree. You can order a case (36) and have it shipped either directly to you or to the store for free! How awesome right?! Print off your free valentine printable. I use the HP Envy 5540 Wireless All-In-One Printer and signed up for HP Instant Ink. I highly recommend this! 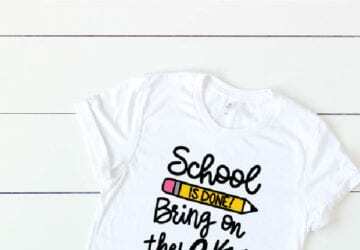 Never run out of ink at 11 pm when you have to print out your kids report, or when you have to print these valentines out the night before your child’s class party…because let’s face it…#procrastinatorsunite. I removed the cardboard hanger from the socks, rolled them up and used curling ribbon to secure them into a sock roll. 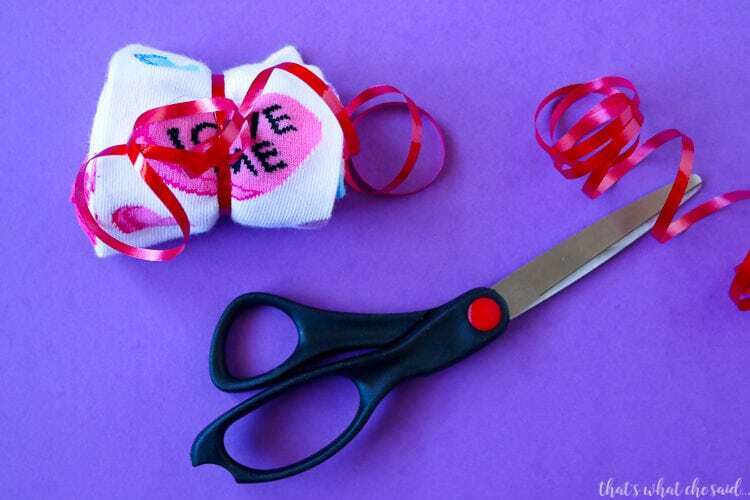 Using scissors cut out around the dotted circle border. Punch a whole in the top of the tag. Next I tied the tag on the curling ribbon and curled the ends using scissors! Now you have an adorable valentine! I plan to make some of these to pass out to my moms group for Valentine’s Day! 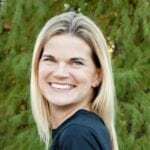 They are fun for more than just elementary school kids! You can find all of my printable valentine cards here! I also invite you to check out my Valentine Page! 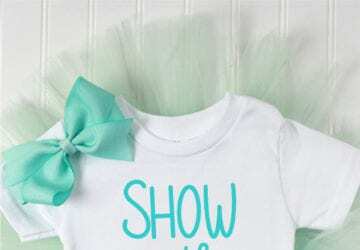 Home decor, more free printables, free fonts, sweet treats and more! 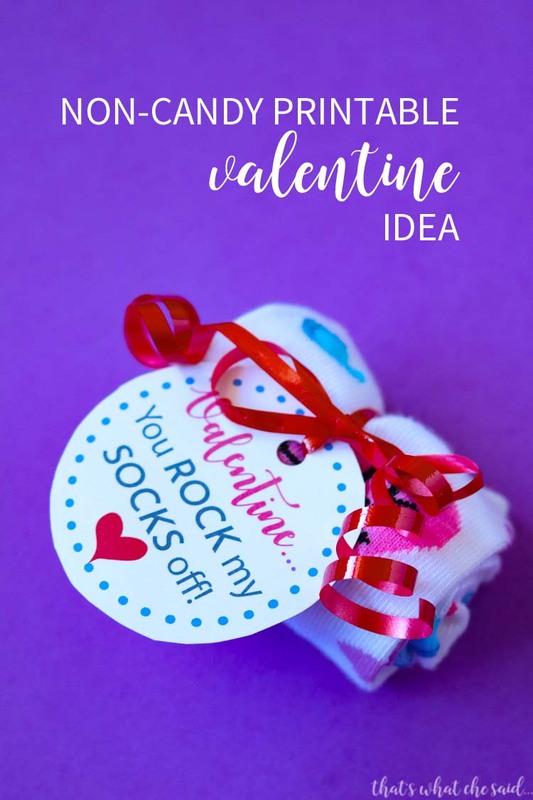 If you like this Rock my Socks off Printable Valentine, Pin it!